Fountain is one of four once-thriving lines Iconic Marine Group is hoping to reinvigorate. It won’t be easy, says chief operating officer Joe Curran, but the new owners are confident they will prevail, citing the strong retail following of each of the brands. Joe Curran is a West Side of Chicago kind of guy. He says this is the background that will give him the stamina and guts necessary for Iconic Marine Group — the company that quietly purchased all four brands of Baja Marine LLC in May — to bring the iconic brands back to their glory. That said, Curran does not think the turnaround will be easy for the four brands — Baja Marine, Donzi and Donzi Classic, Fountain Powerboats and Pro-Line — which have changed hands, sometimes contentiously and out of bankruptcy, in the last decade or so. 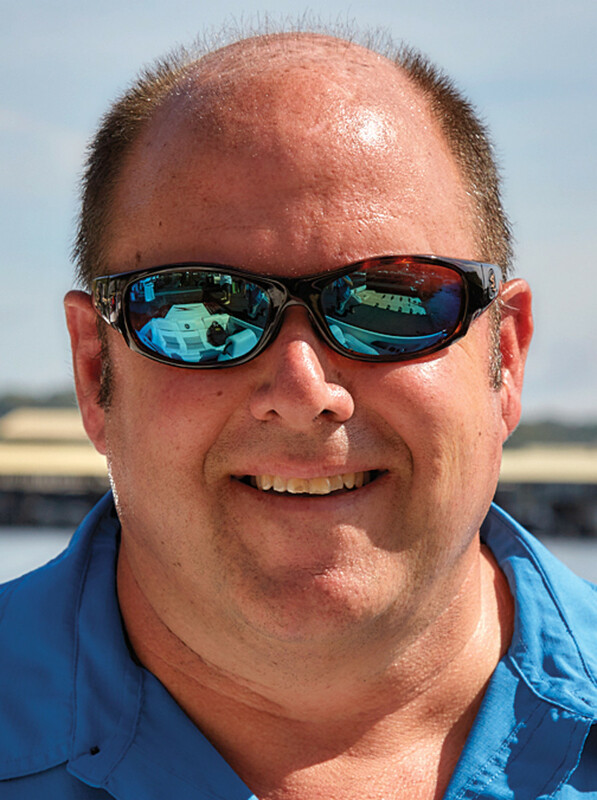 The 30-year industry veteran, formerly of Crest Pontoons, anticipates it taking a good two cycles, or two model years, to differentiate the brands and help them find footing again. He will work side by side with Iconic Marine Group president Carol Price, an instrumental part of Fountain for three decades, in strengthening the operational team for the company and executing its business plan. “We have four brands that have a great following at retail,” says Curran. “Every brand has a place and has a distinct personality. These are no different. Each one of them will end up being responsible and distinctive. You’ve got to be respectful of the past, and you’ve got to develop for the future. That’s the kind of thing we’ve got to massage and juggle. The company will trim the Baja offering from where it was, focusing on the Outlaw series, so it hits a different price point than Fountain Powerboats. “Fountain is what it is. It’s been a leader in speed forever,” Curran says. Fountain will be the first to reveal the results of renewed investment in product development. 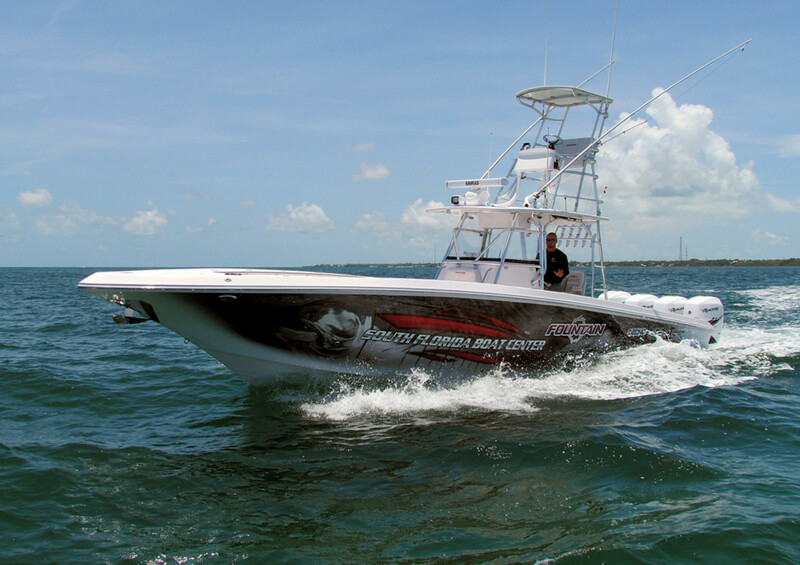 A new Fountain 38 Thunder — a center console set up for poker runs with four 400-hp Mercury racing engines — will debut at the Fort Lauderdale International Boat Show in November. It also will make a November appearance at a poker run in Key West and at the Marine Dealer Conference & Expo in December, Curran says. Donzi Classic, boats that have not changed much since 1967, also have a place in “heritage locations” such as Lake George, N.Y., Lake Geneva, Wis., and Lake Winnipesaukee, N.H. “We’ve got a lot of events on the plate between now and show season, and we’re introducing something at every event,” he says.